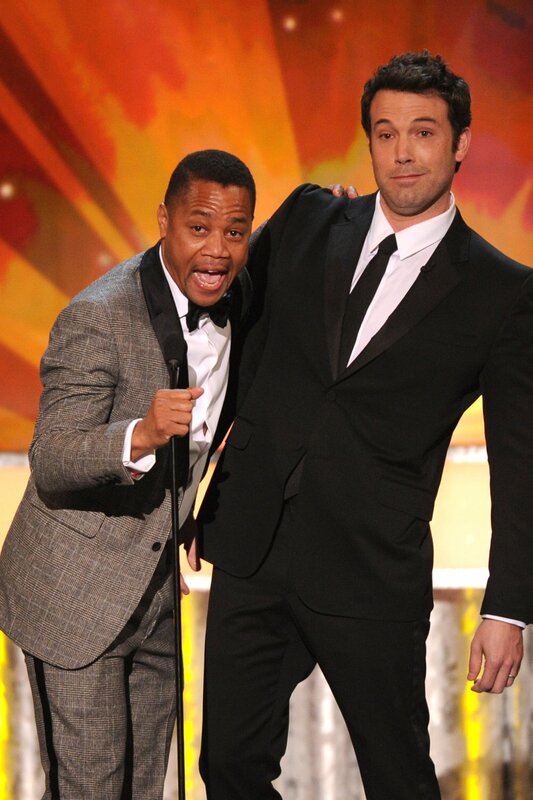 What Happened to Cuba Gooding Jr.? With the exception of Lupita Nyong’o’s well-deserved win over Jennifer Lawrence, this year’s SAG Awards were a relatively predictable affair—until the very end, when Cuba Gooding Jr. suddenly charged the stage and grabbed the microphone away from Ben Affleck to commemorate the occasion of Martin Luther King Jr.’s birthday weekend. It wasn’t Gooding’s first display of exuberance at an awards show, as anyone who remembers his ebullient acceptance speech when he won a best supporting actor Oscar for Jerry Maguire in 1997 can attest. The years since then haven’t always been happy ones for Gooding, professionally speaking, as he often seemed to take his Jerry Maguire mantra, “Show me the money!,” to heart. How else to explain Snow Dogs and Boat Trip, among other egregious missteps? Or perhaps he was taking his father’s biggest hit song with the Main Ingredient, “Everybody Plays the Fool,” a bit too literally. But every few years, he’d remind us of the promise he once showed as a young actor in films like Boyz N the Hood and A Few Good Men, contributing solid work in serious movies like American Gangster and Red Tails, not to mention Lee Daniels’ The Butler, which earned him an invite to the SAGs, where the film was nominated for Best Ensemble. Still, Gooding was playing the fool at the SAGs, delivering one of those corny “How did you get your SAG card?” monologues with a smirk, then popping up to pour champagne for his tablemates. Of course it was a reference to his role as a server in The Butler, but it almost made you wonder if Gooding might need the extra scratch he could earn by working for the caterers. Especially when you look at the box-office receipts for Gooding’s latest movie, Life of a King, which opened quietly in theaters over MLK weekend and earned $5,709 on 16 screens, for an average of $357. Meanwhile, Gooding’s Boyz costar Ice Cube‘s Ride Along raked in $48.6 million and an $18,260 average. It’s too bad, because Life of a King (which is also available on VOD and iTunes) is not a bad little movie. It’s a cross between Dangerous Minds and Searching for Bobby Fischer: Gooding does admirable work as an ex-con high-school janitor who teaches life lessons to a group of inner-city D.C. students by forming a chess club. Sure, it’s formulaic and a tad hokey, but Gooding’s inherent likability and a stellar supporting cast, including Dennis Haysbert as his jailhouse chess master and the always-underutilized LisaGay Hamilton as the school principal who gives him a chance, make it worth a $6.99 iTunes rental, at least. As for Gooding’s cinematic future, he’ll play a runaway slave who heads to Canada via the Underground Railroad in this year’s Carry Me Home. One can only hope this will keep him on the path of doing meaningful films, because when he steers clear of the likes of Daddy Day Camp, Cuba Gooding Jr. can be (to invoke a career high point) As Good as It Gets. « Has Steve Coogan Finally Conquered America?